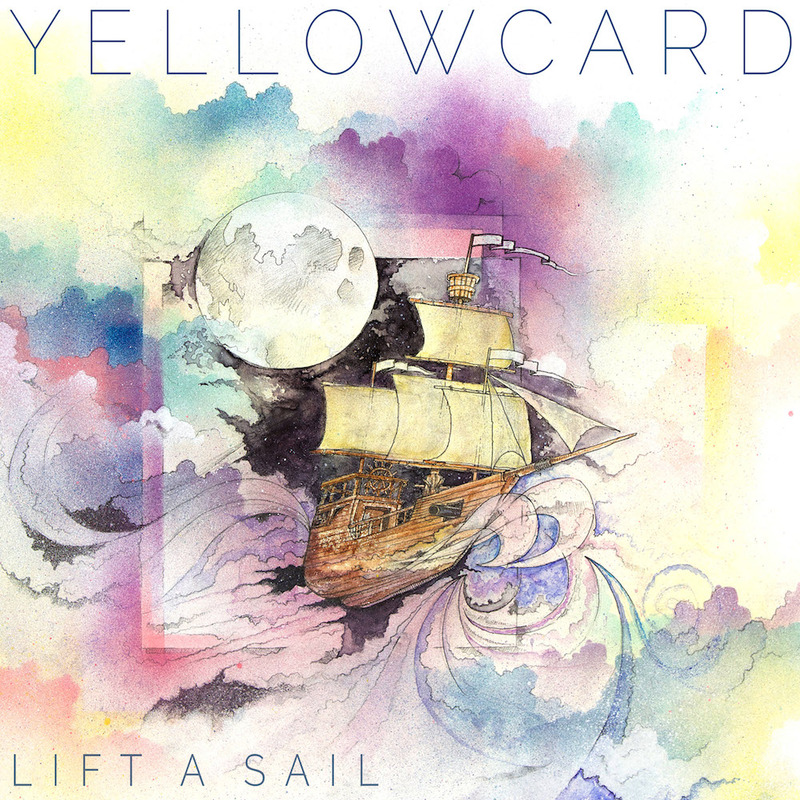 Before heading into Lift a Sail, the gargantuan 9th studio record from Yellowcard, try your hardest to forget everything you thought you knew about the US pop-punk group. Gone are the high-tempo punk tracks, the chunky chopping guitars and the frantic violin solos. Most importantly though, gone is Longineu W. Parsons III, or just LP for those in a rush. The bands drummer and founding member jumped ship earlier this year, right before they set off on the legendary US Warped Tour and quick enough to ensure that he’d have no involvement in the group’s upcoming album. Shame for him, as Lift a Sail is easily the bands most bold and exciting release to date. Despite all of the small pieces that have fallen out of the big puzzle of Yellowcard, there is one essential cog in the machine that isn’t missing, and that’s passion. It’s alive and working well, stronger than ever, and it’s easy to hear, right from the soothing violin instrumental opening track Convocation through to the piano led closer California, it’s clear that Yellowcard are still consistently strong despite recent setbacks. Speaking of strong, 2nd track Transmission Home kicks things off with righteous aplomb, sparks flying from triumphant drums and metal influenced riffs, echoing the likes of A Day to Remember. Once you hear this, it seems that the Yellowcard you thought you knew may no longer exist, until you hear the undeniably distinct voice of lead vocalist Ryan Key, who could very well be at the helm of the bands new sense of passion, as he’s had his fair share of personal battles over the past couple of years. Said battles come alive in the emotional ballad One Bedroom which was written by Key about the apartment he shared with his now-wife after a dreadful accident that left her paralyzed from the waist down. An electronic beat, soft acoustic guitars and a swooping chorus melody are all the right ingredients that this sentimental track needs to crack open the shield guarding your rock solid emotions and melt them down to puddles on the ground. Heavy stuff, and a beautiful, touching piece of music. It’s because of this that it feels like the most “pure” YC track on Sail, and it’s comforting to know that the group hasn’t completely abandoned what people love most about them. Having said that, it’s an excellent change of pace to hear YC break their pop-punk mold, and shape themselves into other genres. For every hard alt-rock tinged anthem (Crash the Gates), there’s a soft violin led sentiment (MSK) just around the corner. There’s a fantastic effort at keeping a happy medium, and it’s rare for a band to manage it so well and with pacing as slick as it is here. There’s enough old to keep original fans happy, but an amount of experimentation and lane switches vast enough to make the ears of even the most hardened Yellowcard cynics prick up in interest, and it’s exciting to realise that these forefathers of pop-punk are willing to embrace modern methods of the genre. Although at first glance it’s easy to knock off Key’s lyrics as filler, but dig a little deeper and there’s a lot of meaning beneath it all. The records title track says it all: “If a cold wind blows, I am ready now.” A statement that reflects the bands defiance through tough times, or Ryan Key’s own struggles perhaps? It’s all questionable and at times cryptic, but if it makes you think more about the music then it’s surely a good thing. There’s also a fair share of electronic influences on Lift a Sail, which undoubtedly will divide listeners. Just a heads up though, this is not Key & Co’s answer to Good Morning Revival. When “pop-punk with electronics” comes to mind, do not think “Keep Your Hands off My Girl”, the shamelessly dance floor filling turn in from Good Charlotte’s misunderstood aforementioned 4th record. Think more of soft frothy synthesizers riding quietly under Key’s smooth voice and guitarist Ryan Mendez’s beefy chords, or a modified beat to accompany LP replacement Nate Young’s colossal snare smacks. It’s ultimately subtle and blends in so well, yet it still manages to add another level of depth to YC’s sound and one that hasn’t been heard before in the bands 17 years at that. Pop-punk purists can scoff, but it’s just another risk the band has taken that makes this record all the better. 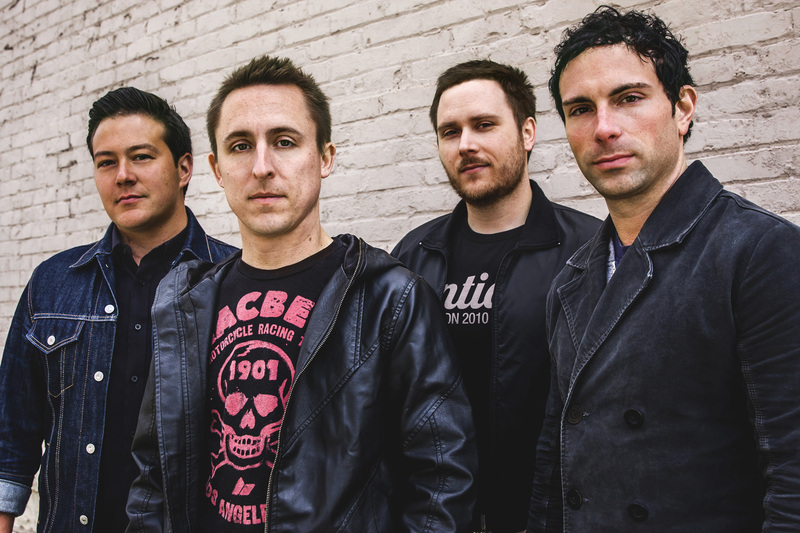 After a much needed break between 2008-2010, Yellowcard have spent the last 4 years rebuilding their rep and making a name for themselves all over again, and Lift a Sail is just the perfect accumulation of these efforts coming to a head in the form of a fantastically massive rock record. With releases coming from them near enough every year since their reform, all of which have been received with much acclaim, it’s hard to tell if Lift a Sail will stand out as a relevant effort in the eyes of casual listeners. Don’t dismiss it as “just another annual Yellowcard record”, because as far as the bands ever growing song writing maturity goes, Lift a Sail is their best yet, and deserves to sit comfortably at the top spot due to its own merits, and not those of its predecessors. Forget Southern Air for now, because this is the essential Yellowcard album. Lift a Sail will be released Oct. 7th through Razor & Tie.